BAE Systems has awarded a subcontract to Thales UK to deliver a fully integrated search and attack submarine sonar system, the Sonar 2076, for installation on the fifth UK Royal Navy Astute-class submarine, HMS Anson. Under the contract, valued at over £30m, the company will supply a complete sonar system that includes both inboard and outboard of the bow, fin, intercept and flank arrays and associated inboard processing for the submarine. 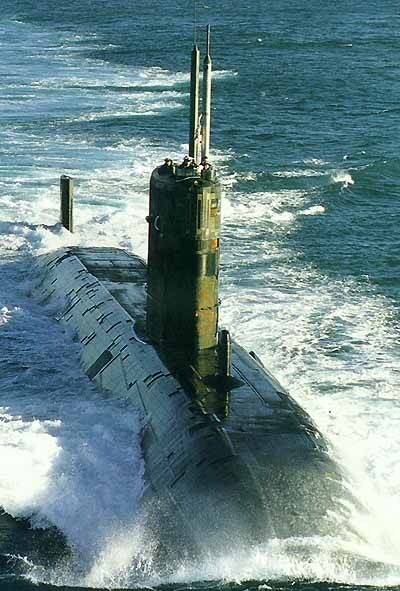 The company is also supplying other sensors and systems, including two non-hull penetrating CM010 optronic masts which, along with the sonar system, will serve as the ‘eyes and ears’ of the submarine. Other Thales equipment fitted on the Astute-class platform include the UAP4 electronic support measures (ESM) system, which has two multi-function antenna arrays mounted on the masts, as well as the ECB680 communications and SEEPIRB emergency beacon buoys and an ultra-high frequency satellite communications antenna. The 97m-long HMS Anson has a displacement capacity of 7,400t, can carry torpedoes, Tomahawk land attack missiles and can accommodate a crew of 98. The Astute-class nuclear-powered attack submarines have been designed to support a range of strategic missions, which include anti-ship and anti-submarine operations, surveillance and intelligence gathering. The vessel features an increased diameter to accommodate the Rolls Royce-built PWR2 nuclear plant, which is fuelled for the whole of the vessel’s 25-year operational life. The submarine also incorporates advanced stealth technology, greater firepower and the latest communication systems. The UK Ministry of Defence (MoD) had awarded a contract to BAE for construction of seven Astute-class submarines for the Royal Navy intended to replace the existing Swiftsure and Trafalgar class submarines. Thales has also been contracted to supply the sonar system and other equipment for the first five submarines including Astute, Ambush, Artful, and Audacious. Image: The first five of the UK Royal Navy’s Astute-class submarines are to be equipped with Thales’ Sonar 2076 system.